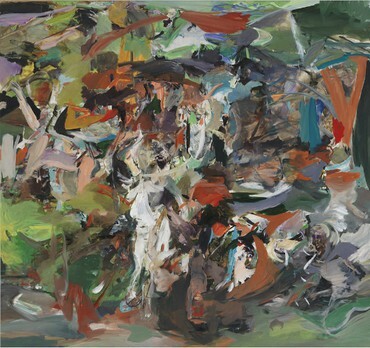 The exploration of form and the tension between figuration and abstraction are central to Brown's work. 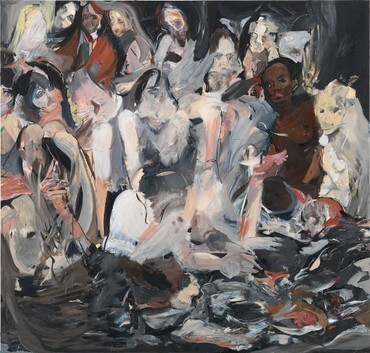 The artist revisits old master imagery, as well as scenes lifted from popular culture in order to create her own vision where human form and brushwork amalgamate, transcending notions of classical genre and narrative. 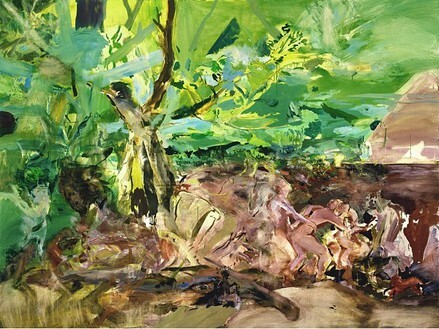 Subject matter is liberated from its original context and positioned within a new reality. 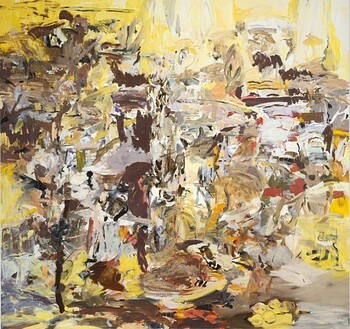 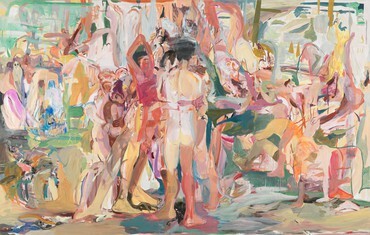 Cecily Brown's work has been the subject of numerous solo exhibitions and group shows. 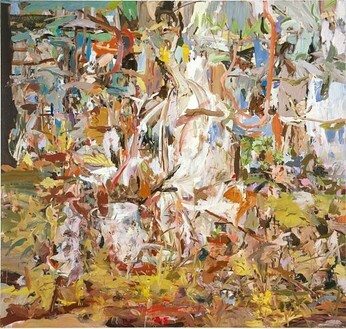 Personal exhibitions include those at the Hirshhorn Museum and Sculpture Garden, Washington, D.C., 2002, Museo d'Arte Contemporanea Roma, Rome, 2003, and the Museo Reina Sofi­a, Madrid, 2004. 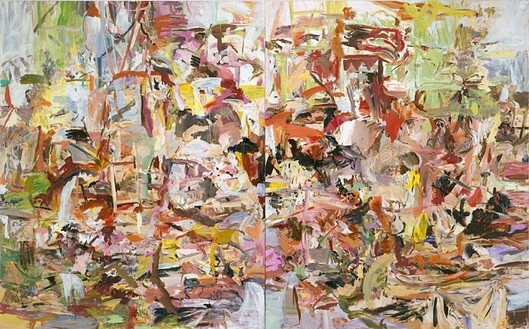 She also participated in the 2004 Whitney Biennial. 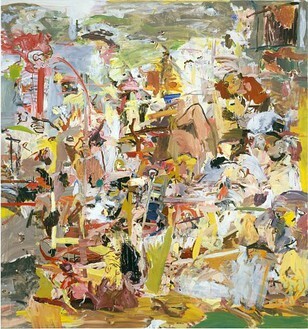 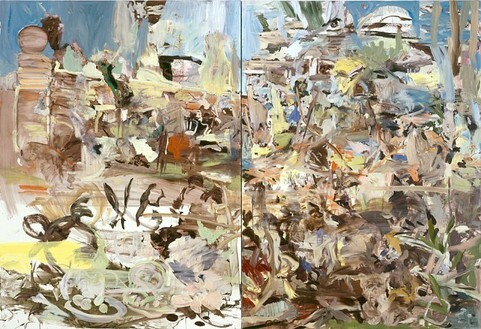 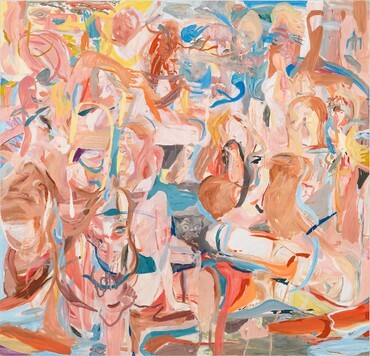 In June 2005 Cecily Brown's paintings will be the subject of a solo exhibition at Modern Art Oxford, England.